New developments planned in KCK – Welcome to Wyandotte Daily! A new housing development, a new Northeast area grocery store and a new building at Donnelly College are planned for the 4th District of Kansas City, Kansas. 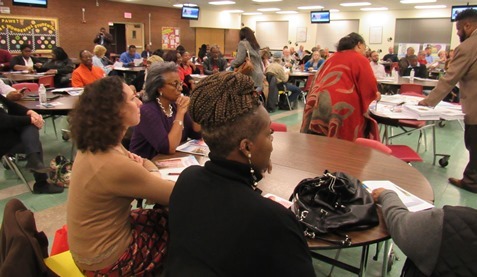 The new developments, along with other improvements, were announced at Commissioner Harold Johnson’s 4th District community summit meeting held Nov. 15 at Northwest Middle School, 2400 N. 18th St. More than 100 people attended the meeting. 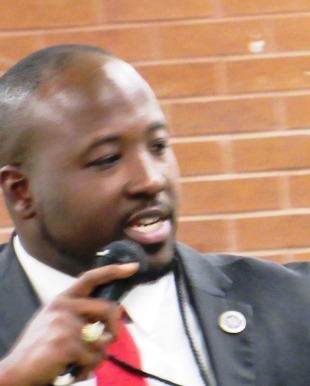 Johnson said there are currently $60 million to $70 million of investment in the 4th District. The district goes from 3rd Street on the east to 47th Street on the west, as far north as Quindaro Boulevard and as far south as Park Drive, and its boundaries are somewhat jagged. 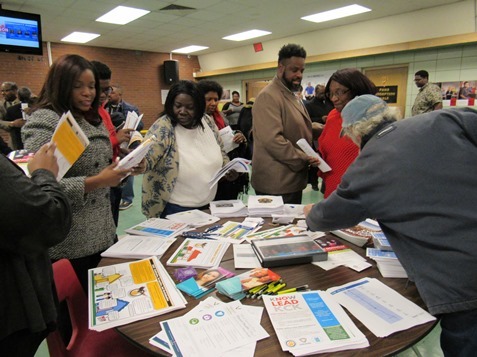 Information also was presented at the meeting about the Northeast Area Master Plan, which is expected to be on the Unified Government agenda for approval at 7 p.m. Nov. 29. According to UG officials, it is the first time a master plan has been in place in the Northeast area, and it is expected to help the local government set priorities for decisions. The Northeast area is on the cusp of development and expansion. Recently, the possibility of land speculation in the Quindaro area led to the UG Land Bank halting transfers of land in Quindaro, until after the master plan is approved. 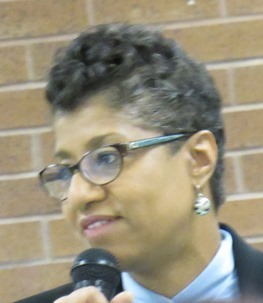 Johnson said as the master plan was being developed, a new housing initiative was underway in the 4th District. 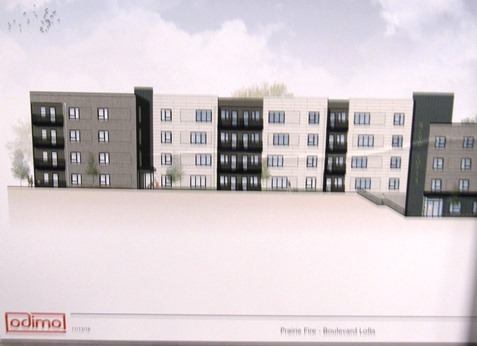 The $11 million Boulevard Lofts project will be in the Douglas-Sumner Neighborhood, developed by the Prairie Fire Development Group, according to officials. It will include affordable market-rate housing. The development will include a four-story apartment building, with some six-plexes with one and two-bedroom apartments, according to officials. Community gardens will be an important aspect of the development. Johnson said the development will be between 8th and 9th streets, from Washington to Everett avenues. The first phase will be called the Boulevard Lofts, with more phases planned, he said. 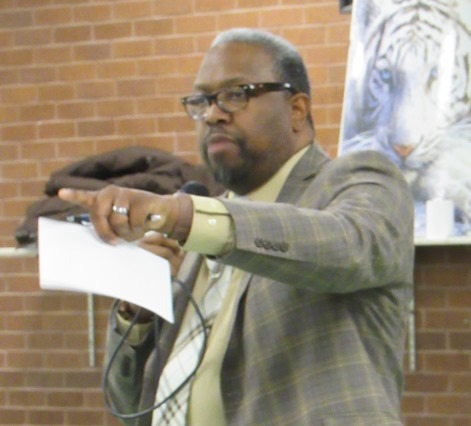 Rob Richardson, UG planning director, said at the Nov. 15 District 4 community summit meeting that a cooperative grocery store is planned at 17th and Quindaro in an old hardware store. Currently, the building is being cleaned up. This store will be closer to the Northeast area than the proposed downtown Kansas City, Kansas, grocery store to be run by the Merc, at 5th and Minnesota. The store at 5th and Minnesota is in the 2nd District. 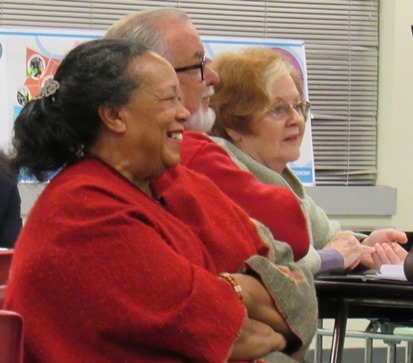 A representative of the Merc was present at the Nov. 15 meeting, and described their efforts to involve the community in planning for the store, what will be in it, and in hiring local people. The Carl Bruce Middle School will be built to replace Northwest Middle School, and a Safe Routes to School sidewalk is being planned between Northwest and the Bertram Caruthers Elementary School, Richardson said. Johnson said another Safe Routes to School walk is being built from the Frances Willard School to Central Avenue. A Groundwork Trust USA project has been approved for the Historical Northeast Midtown Association, according to Elnora Jefferson of HNMA. 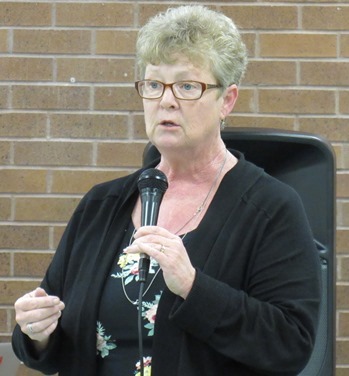 At the community summit, she said a project in the Northeast area will receive federal grants in which a committee will study areas with the goal of changing brownfields into usable assets. Over $300,000 of investment is expected with this project. 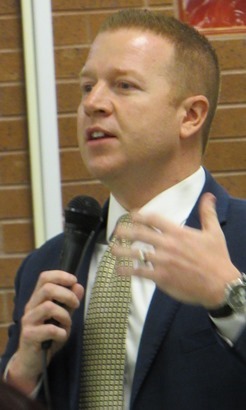 Also at the community summit Nov. 15, Patrick Sallee, CEO of Vibrant Health, said a new Vibrant Health safety net clinic is coming to 13th and Parallel, in conjunction with the Boys and Girls Club and the Mt. Carmel Redevelopment Corp. The new clinic may open in May or June of 2019, he said. Vibrant Health was created by the merger of Turner House Clinic, Silver City Health Center and KU Pediatrics Clinic at Children’s Campus. It has clinic locations at 12th and Central; at 444 Minnesota Ave.; and at 1428 S.32nd St. in the Argentine area. Johnson said an “18th Street Renaissance” is underway. He said it includes a new 18th Street transit line, the new Carl Bruce Middle School and a new Donnelly College building. “I see a complete renaissance in that area,” Johnson said. 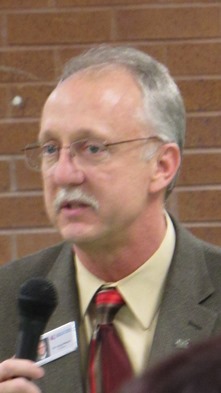 Justus Welker, UG transit director, described the new bus line planned on 18th Street. It will go from Quindaro to Roeland Park, he said, in less than 25 minutes. The bus route will allow residents to connect with grocery stores, health clinics, colleges and jobs, he said. More than 14,000 people live within a quarter-mile of the route, he said. It will be part of the Ride KC network and will connect routes 101 and 102, as well as other bus routes. It will start as a Monday through Friday route on Jan. 2, he said. One college student who attended the community summit said he liked the idea of an 18th Street transit line because currently, he has to take the bus to Kansas City, Missouri, and then transfer to another bus to Johnson County, which takes more time. Students at Kansas City Kansas Community College and some other area colleges currently receive a pass to ride the bus for free. 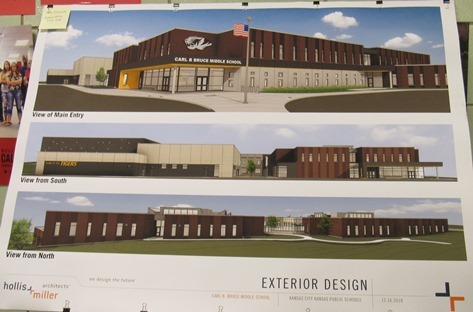 The new Carl Bruce Middle School is planned to replace Northwest Middle School in 2020, and it will include “maker spaces” for tech and robotics students, according to officials. 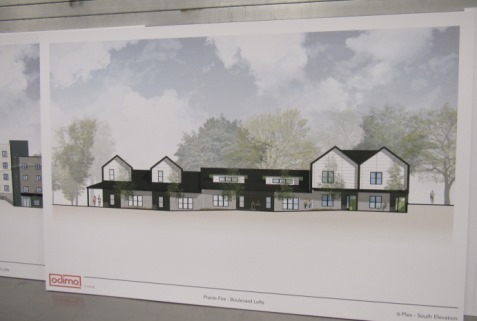 The new school will house about 900 students, according to officials. Johnson said the Northwest student count had dropped to about 240 a few years ago, but now they are back at capacity. He said the new school is a $30 million investment in the 4th District. 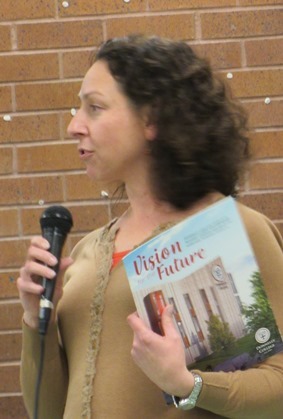 Emily Buckley, Donnelly College vice president of advancement, showed renderings of the campus plans on 18th Street during the community summit meeting. In 2013, Donnelly opened a new events center, and in January 2018, remodeled Marian Hall. 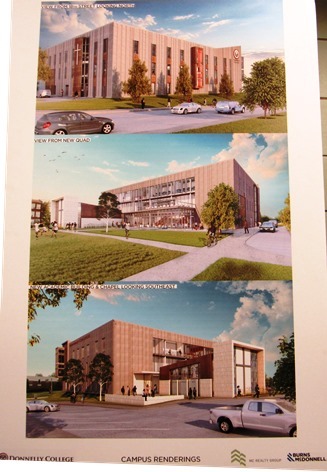 Donnelly also plans to build a new three-story, 72,000-square-foot building on 18th Street, she said. 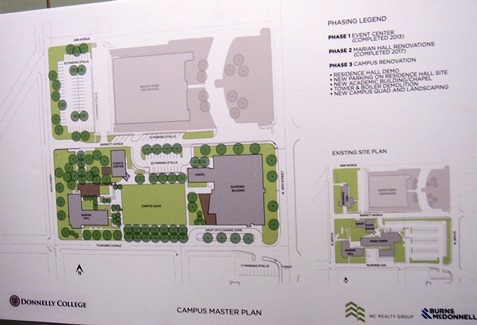 The college is raising funds for the expansion and is “more than halfway there,” Buckley said. The total of all the Donnelly renovations, including the new building, will be a $30 million-plus investment in the campus, she said. Commissioner Johnson has really worked hard to bring these improvements to the 4th District, said Commissioner Melissa Bynum, 1st District at large, at the community summit. 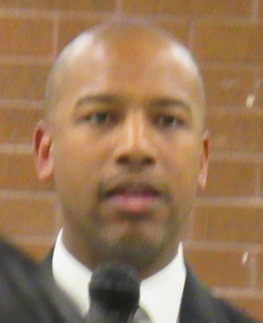 The community summit meeting also featured appearances by Kansas City, Kansas, Superintendent of Schools Charles Foust; Kansas City Kansas Community College President Greg Mosier; Crystal Watson, deputy chief of staff to Mayor David Alvey; Wyandotte County District Attorney Mark Dupree and Kansas City, Kansas, Deputy Chief Tyrone Garner. Dr. Foust told the audience that his goal, as a new superintendent, is to make sure that quality education is aligned to the standards. He said the district is now aligning its teaching to state standards. Dr. Mosier said the growth opportunity for Wyandotte County is endless. One of the college’s goals is to prepare students to be ready for the work force, he said. Currently there are about 15,000 jobs available in Wyandotte County with an average $40,000 salary, he said. One of the college’s goals is to graduate students with hard and soft skill sets to be ready for the work force. KCKCC provides vocational training for some of these highly skilled jobs. Johnson pointed out there has been a disconnect in the past between high-paying jobs here and residents who can’t get those jobs. 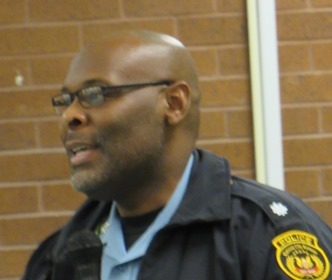 Deputy Chief Garner said public safety is an important part of a community’s sustainability. He said the Police Department is focusing on community policing. While crime has increased in Kansas City, Kansas, over the last four years, this summer there was an 11 percent cut into that increase, he said. “We’re at 29 homicides this year. Out of 29, the Police Department has solved 27 of them,” he said. He also said the police force needs to be more diverse. Currently, he said the Police Department is focusing on youth, taking youth off the streets and getting them into programs that will help improve their lives. He discussed the police summer youth program, which is a successor to the police cadet program. There also is an effort to establish a Police Athletic League for youth. Dupree said he views the district attorney’s office as public safety, prosecution and prevention. He discussed the office’s outreach to youth. He also said a behavior health court was created and in the coming year, mental health diversion will be implemented. “I’m doing prevention, and also the traditional work,” he said. He said numbers of cases are up, citing 101 cases in the past month. He also is planning to start the conviction integrity unit in January. Dupree said he is prevented by Kansas ethics rules from making comments about ongoing cases. “When the case is over, I will speak, and I will speak the truth, and you will hear all of the facts,” Dupree said. Christal Watson, representing the mayor’s office, asked residents to call 311 if they were having any concerns about their trash pickup. She also discussed the Mayor’s Christmas tree lighting ceremony at 4 p.m. Nov. 30 and the UG commission retreat Jan. 17. 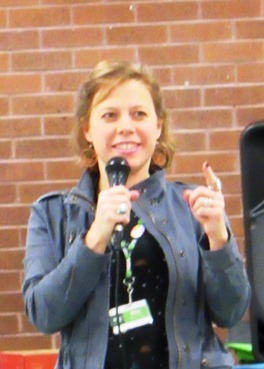 The community summit meeting was open to the public, and it did not include questions-and-answers from those in attendance. I do not see any mention of the development that is in the works down on 18th and Bunker area. I have been contacted about selling my house on Bunker and on 17th Street by the medial building. 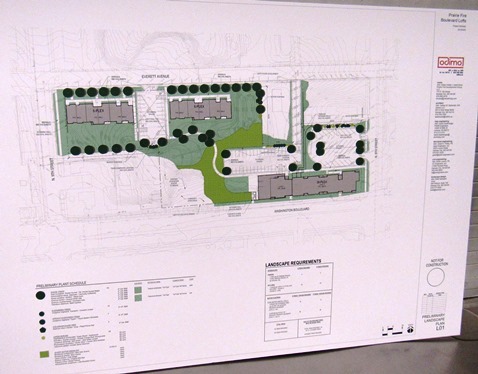 We hear through the grapevine that Lane4 is developing this area and is buying up the homes. It would be nice to hear this info from Mr. Johnson or somebody from the Unified Government. I have called the Planning office, only to never be called back. How do we find out what development is taking place in this area besides the bus line that is mentioned??? I feel this is very poor communication by the Unified Government and almost seems underhanded to not let property owners know what is in the plans. What a waste of time having a forum where you can not ask questions.